The Brasserie de L’Entrecote is a rarity amongst French restaurants, which are usually renowned for their elegantly designed menus. 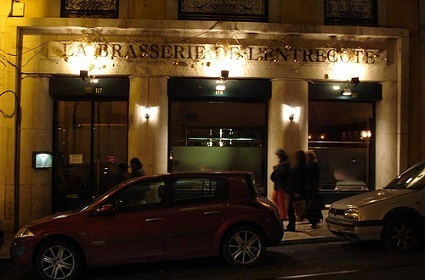 Located in the heart of the beautiful city of Lisbon, this classic French restaurant has done away with the tradition of having a menu, which caused quite a stir when it first opened it doors to customers. 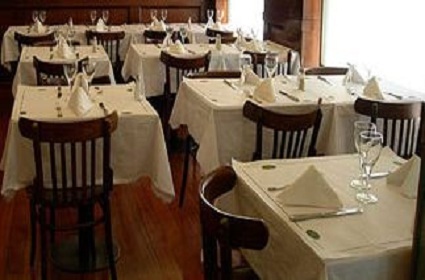 At the Brasserie de L’Entrecote, you are presented with a complete meal without ever having to order a thing. It begins with a starter, generally a fresh salad with nuts, topped with a sweet and sour sauce. The most popular main course at the Brasserie de L’Entrecote consists of slices of deliciously done entrecote steak, topped with a very secret sauce that is sure to leave you wanting more. If this excess is not enough to please your tummy, there is always the dessert trolley. Filled with crepes, tortes and all types of pastries, pies, fresh fruit compotes and other delights, just the sight of it will be difficult to resist. 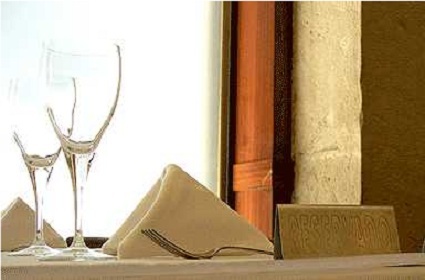 The elegant atmosphere makes it the ideal place for a special date or a casual meeting of good friends.